Which Cryptocurrencies and Assets Will Remain Relevant in 2019? Considering how the year 2018 has been very brutal for Bitcoin and altcoins alike, a lot of people show signs of desperation. Even though there is a genuine chance all markets will come out stronger, there will undoubtedly be some casualties as well. Any project thriving on hype rather than building an ecosystem will be left out, for obvious reasons. Some interesting changes have begun taking shape in the cryptocurrency world. Perhaps the biggest development of 2018 is how XRP has overtaken Ethereum in terms of market cap. Some people will gladly argue this is only possible because of the ongoing bearish trend keeping all markets in their grip throughout most of this year. While there is something to be said for that argument, it also shows there is a major shift taking place. Ripple’s XRP is unlike Bitcoin and cryptocurrency, not an actual cryptocurrency. It is a digital asset and one that can serve the financial sector very well. After all, banks need to innovate and evolve They will not do so with either Bitcoin or Ethereum, as has been made abundantly clear several times. As such, it seems safe to assume there will be a bright future for XRP in its own right. So much even it can be incredibly successful regardless of what either Bitcoin or Ethereum does in the coming years. For those cryptocurrencies, however, the potential success of XRP will not do them any favors either. Both projects will need to work on their own innovations. Thankfully, it would seem there are some interesting things ahead. Bitcoin will get the Lightning Network, which is designed to make the project scale beyond limitations and introduce instant and cheap transactions. It is far from perfect at this stage, but the promise is there. Ethereum, on the other hand, will get its major scaling upgrade, something that is direly needed if the project wants to be competitive in any way. 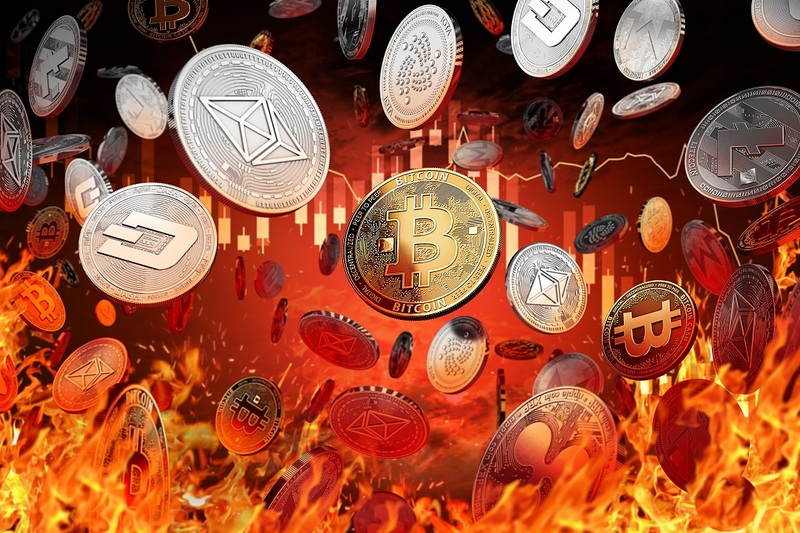 For the rest of the altcoins, however, things are looking a bit more uncertain. Monero has gotten a big upgrade with Bulletproofs, and it seems Dash is gaining traction in Venezuela, alongside Nano. Litecoin and Dogecoin will always be relevant. Bitcoin Cash has celebrated its first birthday, yet lost a lot of “clout” since the network upgrade in mid-November. Bitcoin SV still has everything to prove first and foremost. Stellar’s Lumens will always follow a similar path to XRP, but that is to be expected. Every other currency will have to fight tooth and nail to be successful. Tron’s Virtual Machine shows it can be done, and EOS is still doing a lot of things right. Everything else, however, is subject to debate right now. Other than exchange tokens and stablecoins, the number of use cases for 90% of projects is still unclear at this time.